Thanks for the support to the manufacturer Arctic. At review date the Arctic Freezer 33 TR has a price of about 45 Euro. 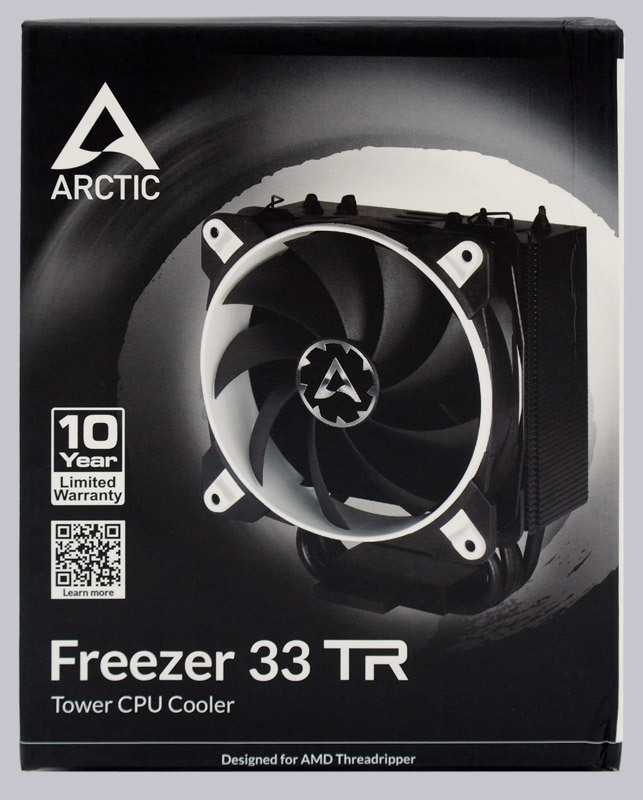 Here you can buy Arctic CPU coolers at a reasonable price. Like the recently tested Arctic Freezer 33 eSports One CPU cooler in red and white, Arctic again offers a full 10 year warranty on the cooler. It is not (yet?) available in yellow. 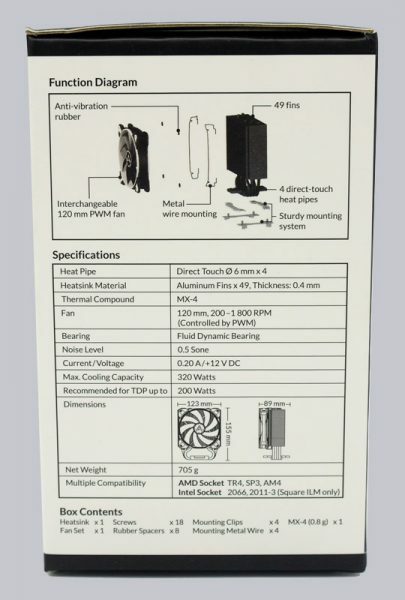 With the “Designed for AMD Threadripper” at the very bottom of the box you can already see what this cooler is designed for. 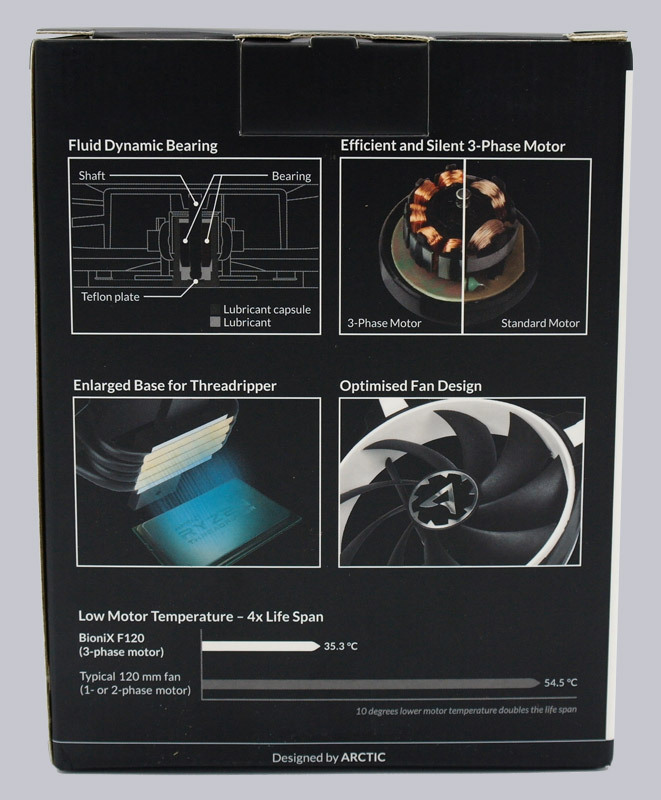 On the back of the box, some details such as how the Fluid Dynamic Bearing works and the three-phase motor of the BioniX fan are explained and the most important change compared to other coolers is shown. 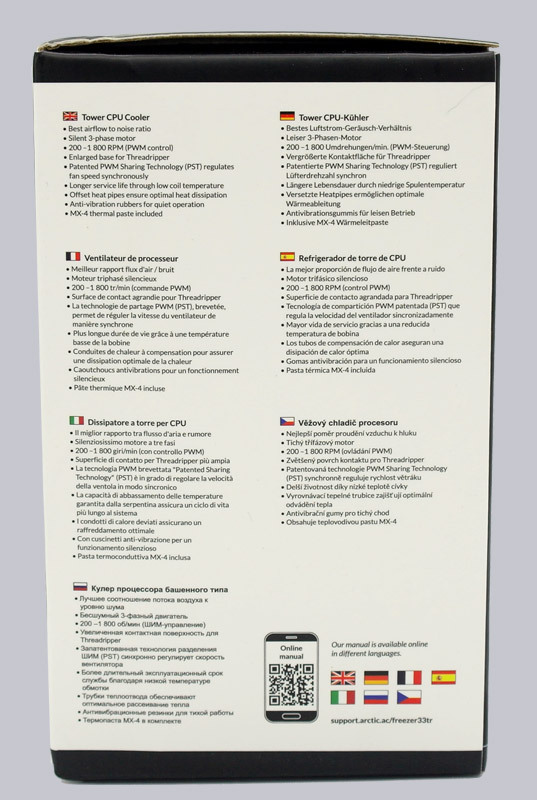 Arctic has once again designed the packaging in an exemplary way, as it shows all the important technical data and contents. There actually remains only one wish open and that would be the schematically installation instructions inside of the cover. As you can see on the other side of the box, the manual is only available online. 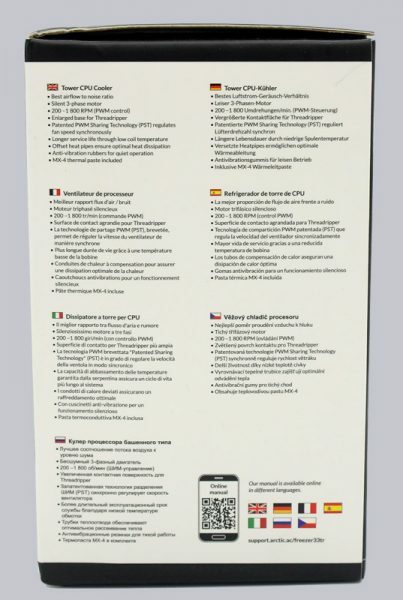 Instead of the manual, this QR code reference with link to the Arctic Freezer 33 installation manual is included. The scope of delivery also includes some screws, two brackets for mounting on an AMD or Intel mainboard, MX4 thermal compound, foam rubber sticker and two additional mounting brackets for mounting an optionally second fan.